My mom had this old ice cream parlor style stool made of scrolled metal with a low back and worn leather seat. It served many uses, mostly beauty treatment related. She was really good at cutting hair and giving those awesome perms that were so popular in the 80’s so I was twenty-something before I sat inside a salon, as were my siblings and many neighbor kids. That was one of those skills born of necessity because there’s no way my parents could have afforded to pay for six children’s haircuts. Even after we moved out my siblings and I would return to the old ice cream stool, usually set up between the living and dining room (so we could be social), to get a free trim and have a nice conversation with mom. Smart lady. Look at those perfectly executed 70’s hairstyles! 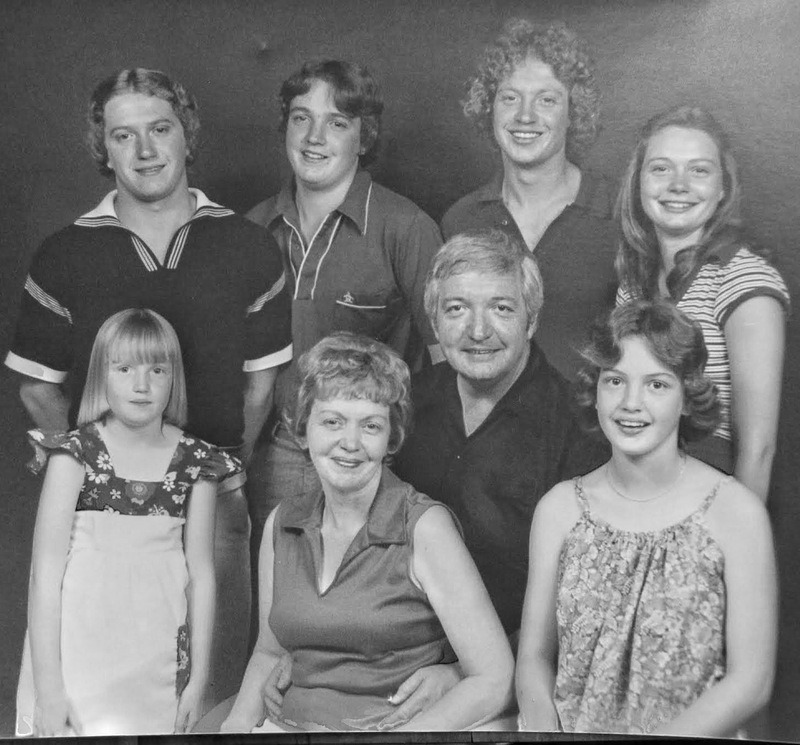 I’m the one with the stick straight hair and wimpy arms, refusing to smile. The other thing I remember that stool being really useful for was making chocolate pudding. 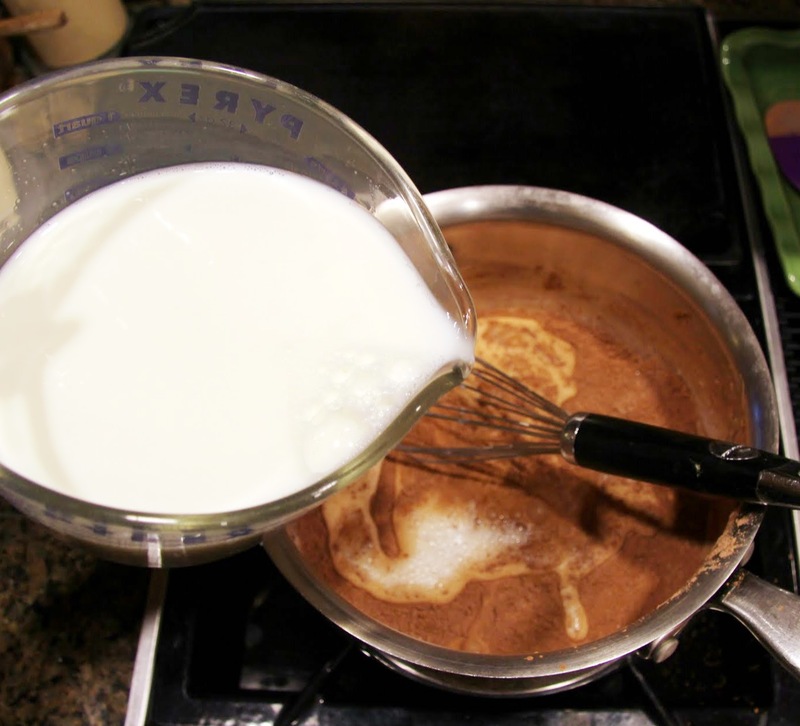 I made a lot of it; a box of Jello chocolate pudding, 4 cups of milk, and lots and lots of stirring. Thus the stool. Not only was I probably a little short for the stove when I first started making it, I was also a wimpy little thing so the stirring plus the standing was way too much effort. I’m sure I also used it when I was plenty tall to reach. There are many reasons I don’t use the boxed pudding anymore. Obviously, the hard to pronounce ingredients, stabilizers and food dyes are less than ideal but they aren’t the main reason. 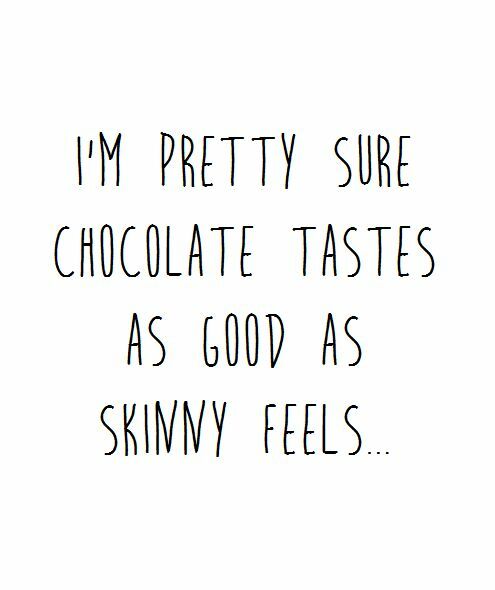 The main reason is taste. There’s no comparison. 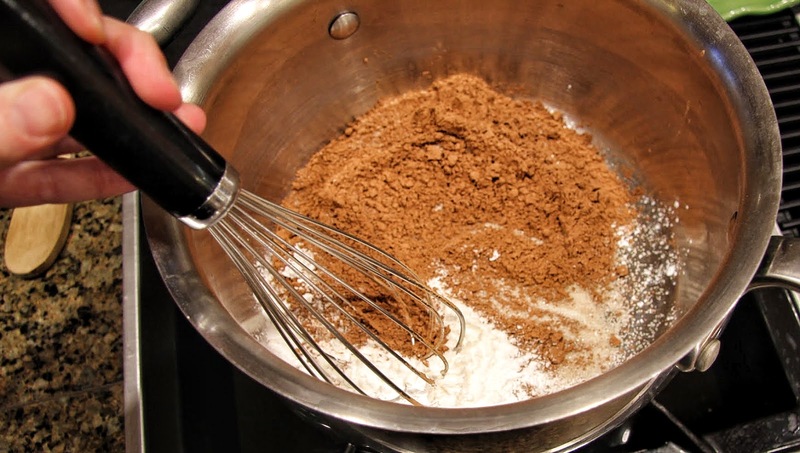 The scratch made pudding tastes so much better and it only takes a few minutes longer to gather the separate ingredients. The stirring takes the same amount of time. You might ask “What about the super convenient instant pudding or those little pre-made pudding cups that don’t require refrigeration?” They don’t even deserve to be part of this conversation, so please don’t ask. 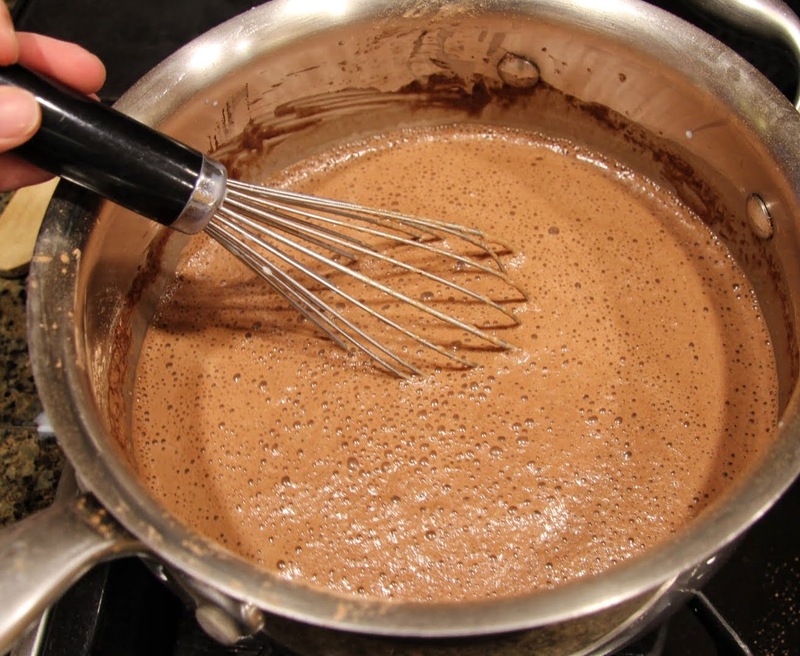 What we have here is deep, dark, creamy, chocolate goodness that is simple enough for an after school or weeknight treat but decadent enough to dress up and serve to dinner guests. I find my girls are highly motivated to help with the stirring. 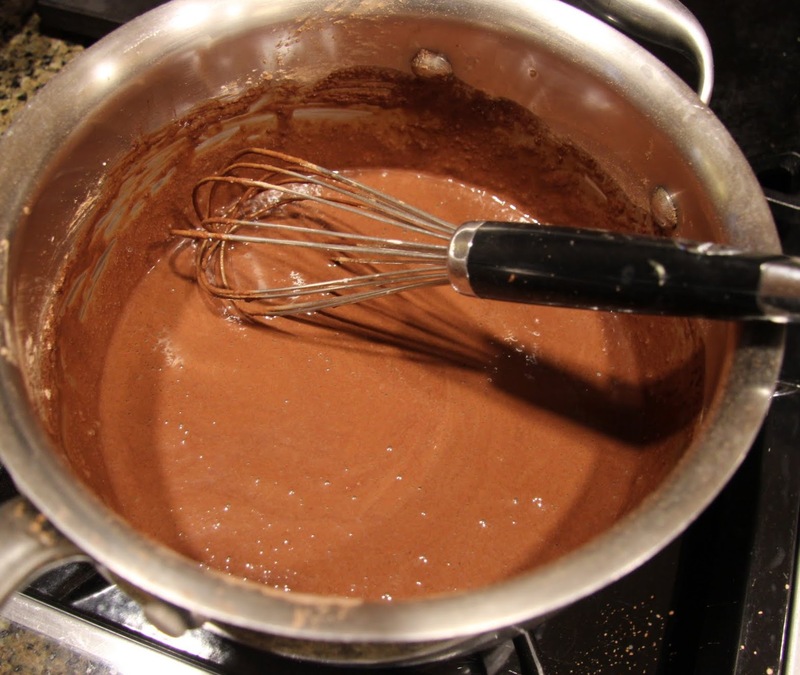 In a large saucepan, whisk together sugar, cocoa powder, cornstarch and salt until well combined. 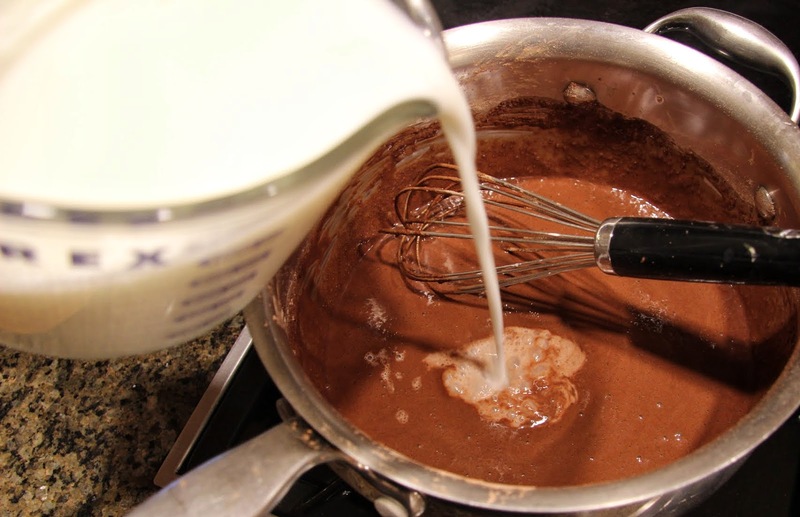 On low heat, slowly add milk, about 1/2 cup at a time, stirring until smooth after each addition. The pudding mixture will be frothy. 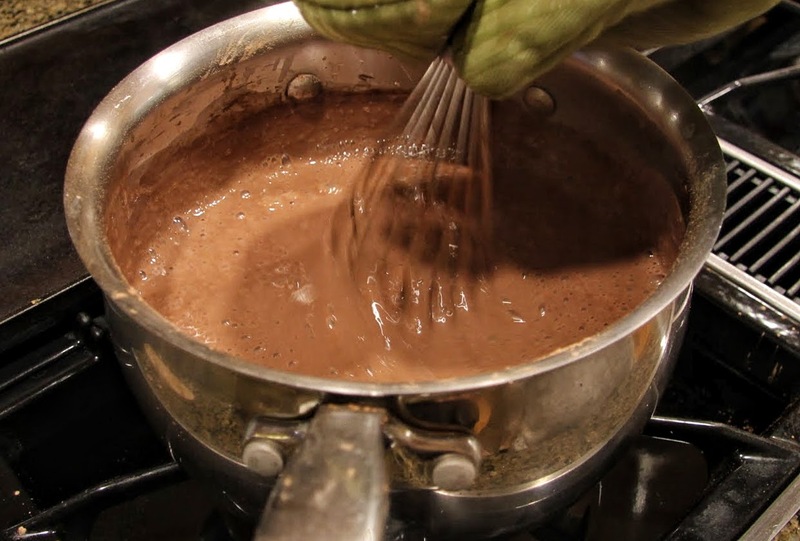 Turn the heat up to medium and cook, stirring almost constantly to avoid sticking, until the mixture begins to boil. Turn the heat down to medium-low and allow boiling for 3 – 5 minutes. 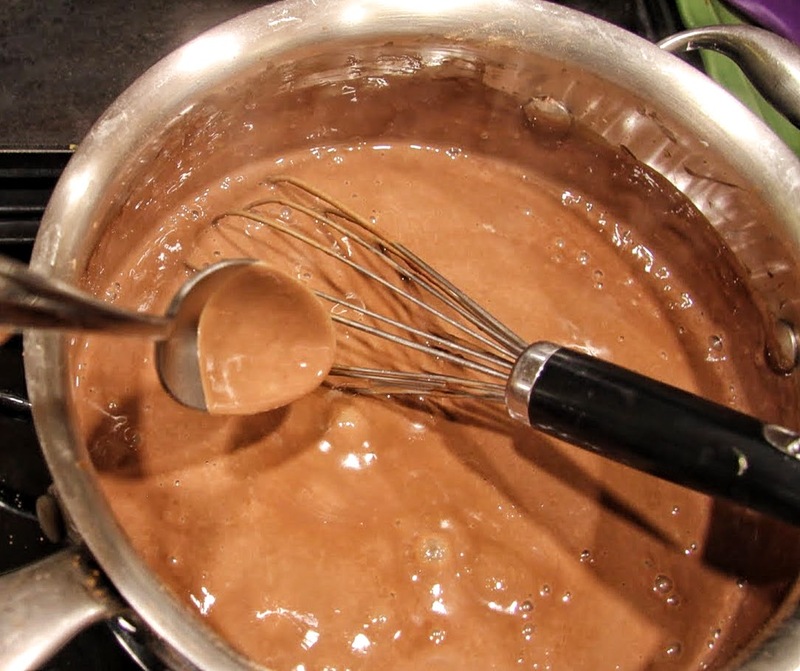 The pudding should form a nice, thick coating on a cold spoon. 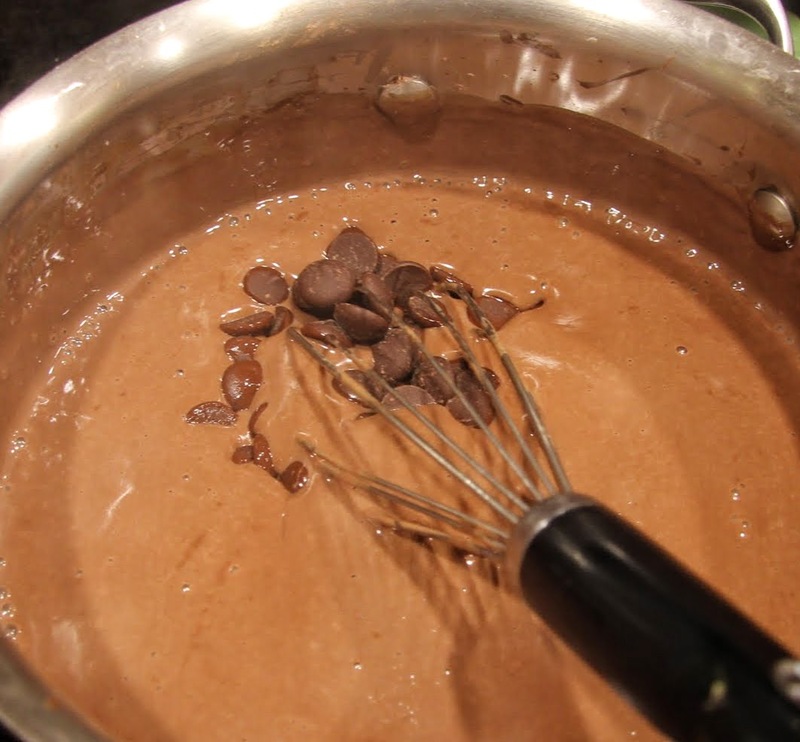 Stir in bittersweet chocolate until smooth. 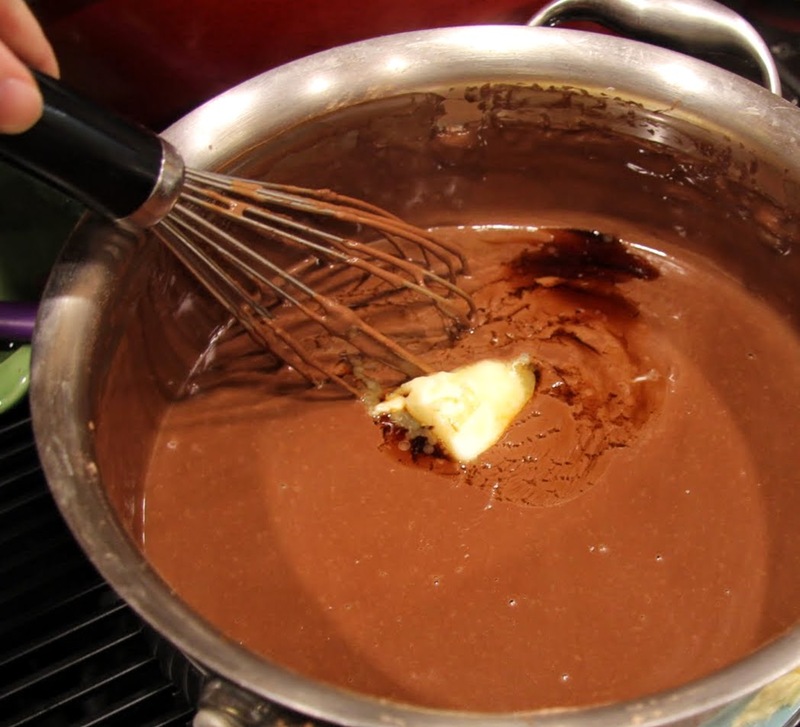 Stir in butter and vanilla extract until smooth. Allow to cool for a few minutes, stirring occasionally to release the steam and prevent “skin” from forming on top. 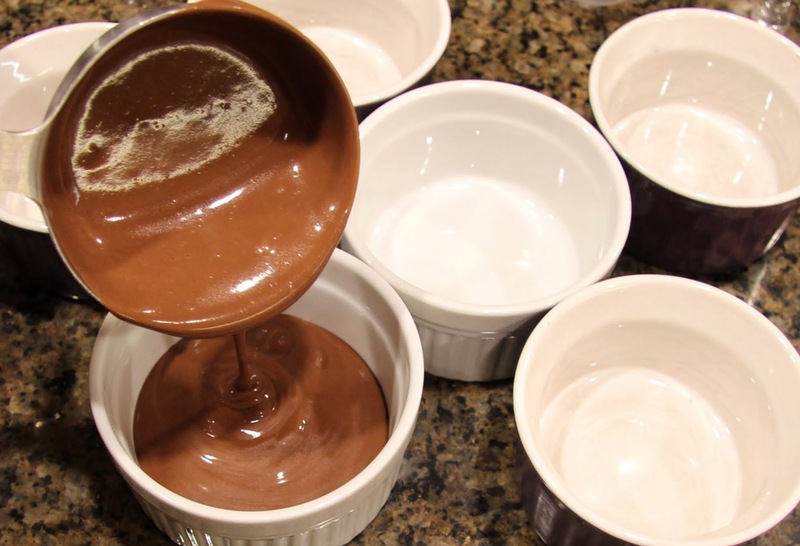 Pour into 8 (4 – 6 ounce) ramekins, cups, glasses, whatever you want as long as they can handle the heat. Pretty teacups are kind of fun. I only used one pretty glass for the cover shot because I couldn’t be bothered to dust off the rest. Cover with plastic wrap, placed right on top of the pudding to prevent a skin from forming and chill for a least a few hours and up to a few days. 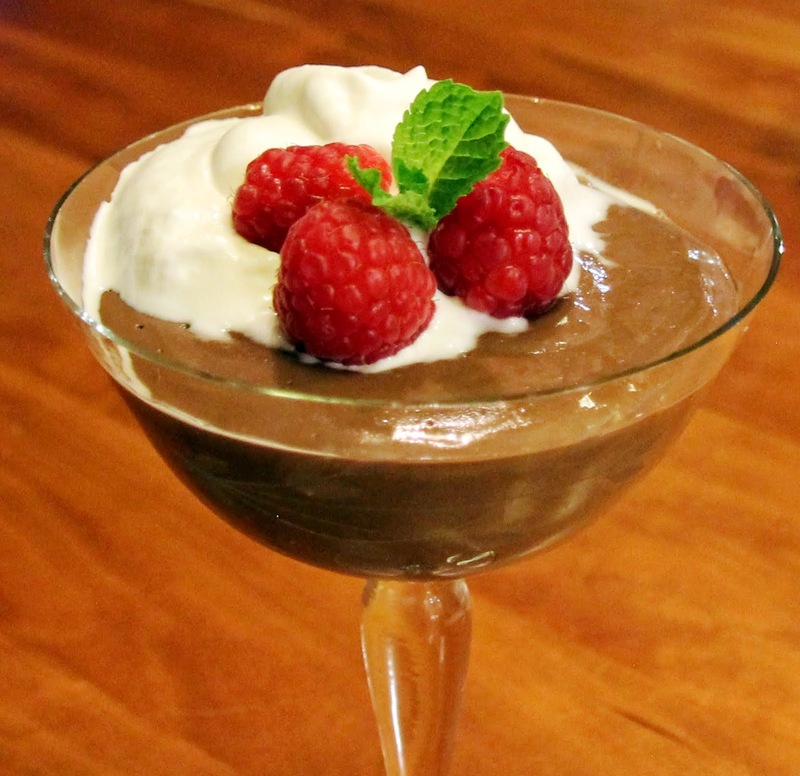 Before serving, top with whipped cream and get fancy with berries and mint if you like.